Pugsley's Marine dates to the 1920's when Kenneth and Gertrude Pugsley operated a gas station, hot dog stand and repair shop for starters and generators on the northwest corner of Ridge and Philips Roads in the Village of Webster. The family home was adjacent to the business. In 1946, the business was expanded to include sporting goods, ammunition and fishing tackle. Boat sales and boat motors were added and an Evinrude dealership was awarded in 1952. Marjorie Pugsley Cario and her husband, Tom, continued the family business and opened the current site in Ontario, NY in January 1960. Boat sales and marine service grew and expanded at the site over the years. The company currently handles new Evinrude engines, parts and repairs, and a wide supply of tires, wheels, fenders and accessories for boat trailers. Son, Bob Cario, now runs the family business along with his wife, Carol, and their two sons, Brian and Daniel. 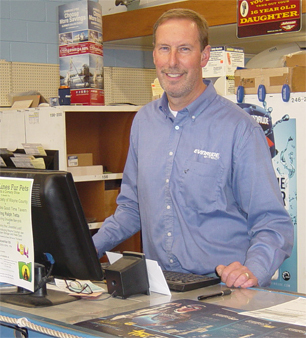 Pugsley's Marine enjoys an excellent service reputation with the public and looks forward to continuing to serve their valued customers.